The Hacienda Boston Firepit is great for any type of outdoor area - patio decking or garden. It's both versatile and compact and made from durable steel. The Hacienda Boston Firepit features attractive curled decorative legs, giving it a traditional look. It comes complete with a protective mesh and metal tool. Height 57cm, diameter 75cm. 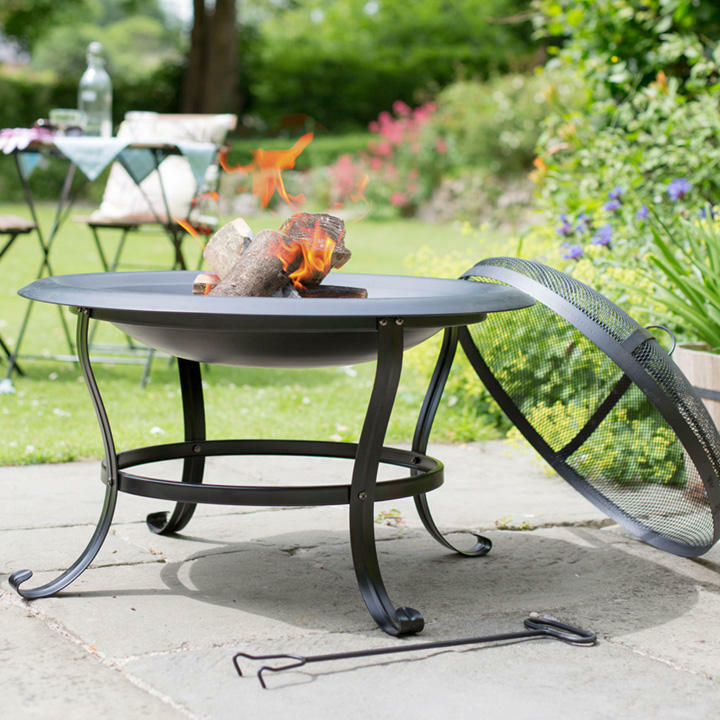 This black steel firepit is simple yet elegant and an easy and efficient way to add warmth and ambience to your outdoor space. Position in your preferred space on your patio, then simply create a log fire on the log grate. Position the protective mesh cover. Sit back, relax and enjoy the dancing flames and warmth produced. 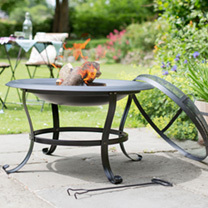 Add this firepit to your garden must haves for a simple, elegant and effective way to give your outdoor space warmth and a cosy feel.